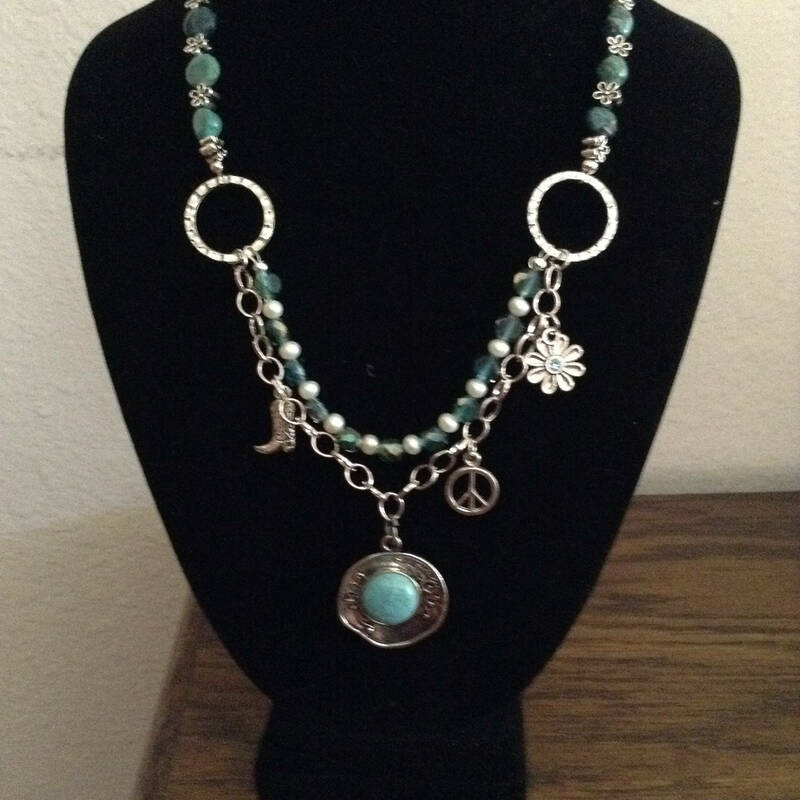 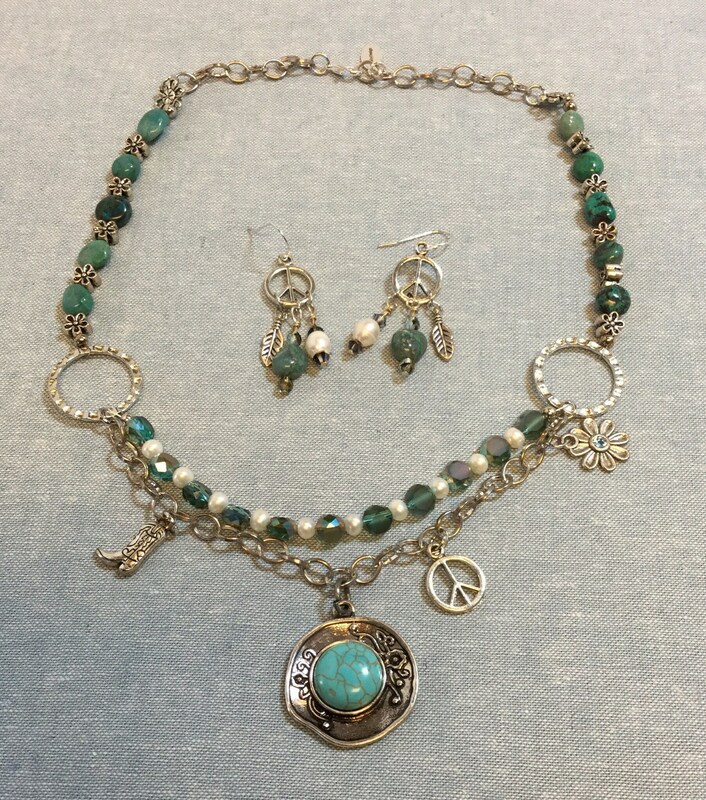 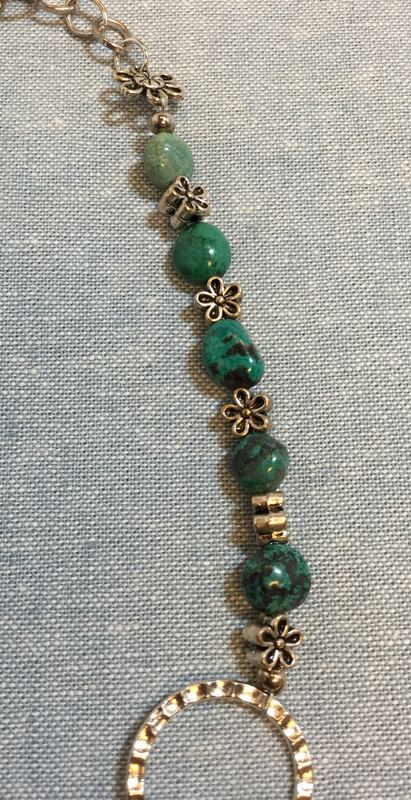 This Texas Hippie Chick necklace features beautiful African turquoise and small freshwater pearls. 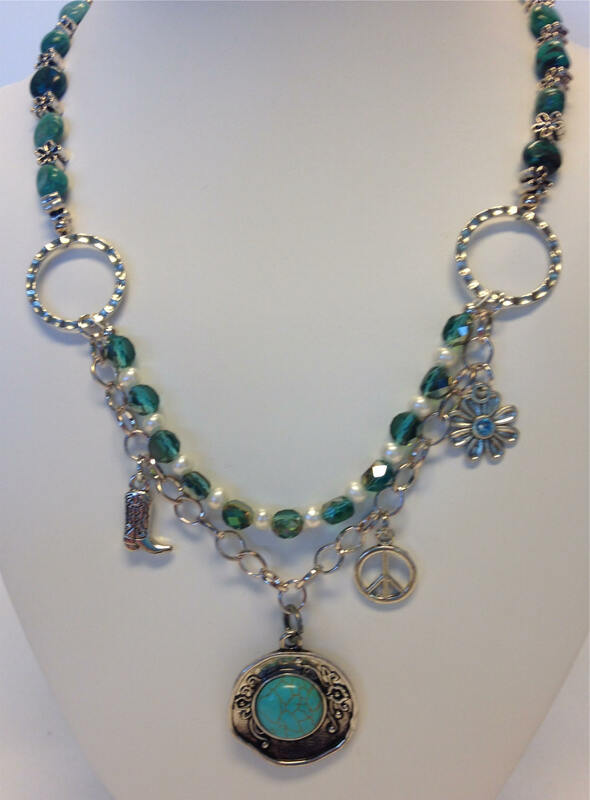 It includes three charms: a cowboy boot, a flower, and a peace sign, all complementing a turquoise cowboy hat pendant. 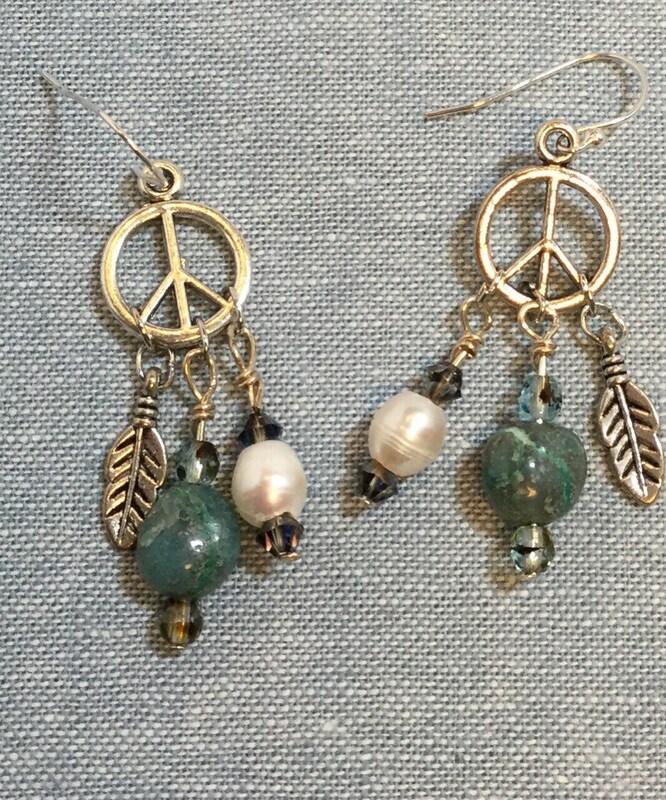 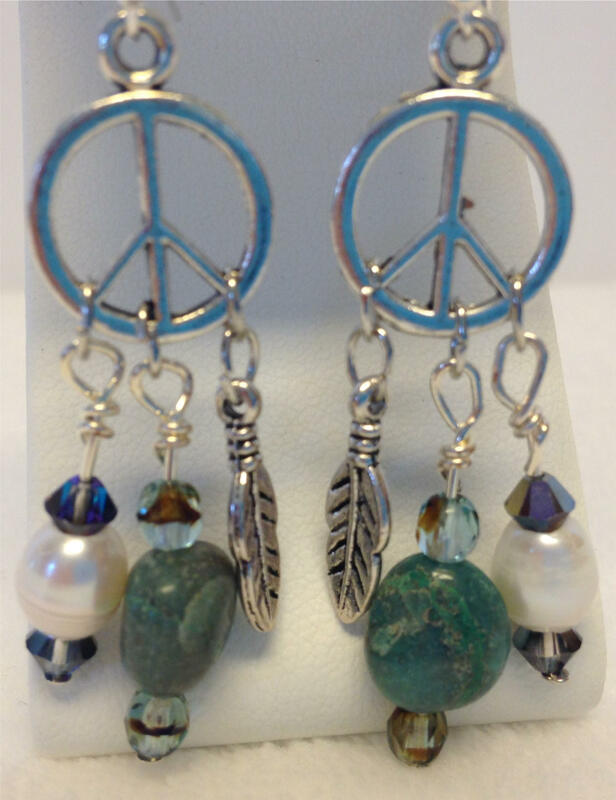 The matching earrings dangle turquoise and feathers from peace sign bases. 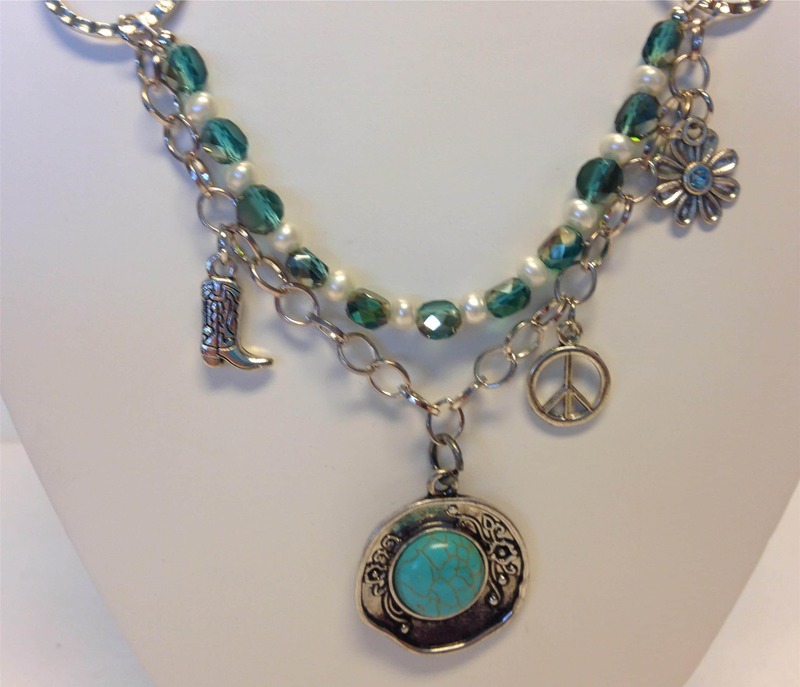 What could be a better gift for your very own Texas hippie chick?